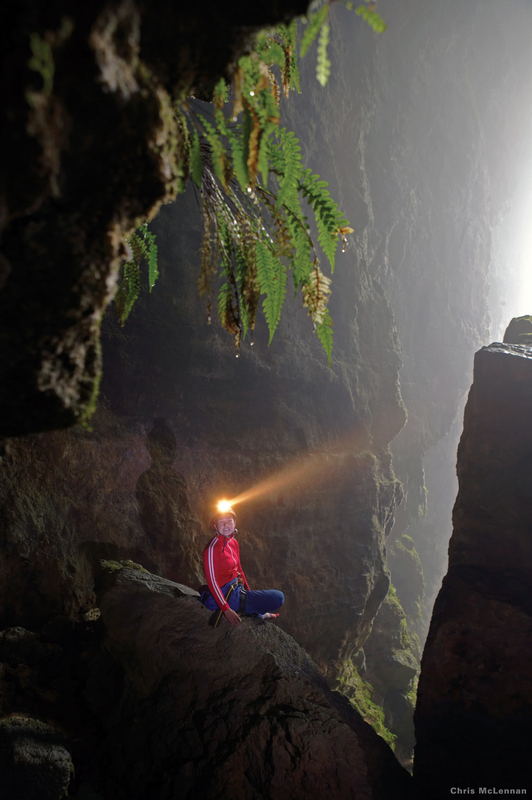 Against this geographically unique backdrop, New Zealand has grown into a destination much sought after by explorers and voyagers looking for something different. It is a place that has an almost mythical status amongst travellers. The climate and altitude can be traversed in but a few hours which means one can start their day skiing on snow-coated peaks in the morning and finish canoeing or rafting over calm waters as the sun sets in the evening. On the south-west side of New Zealand’s South Island, Queenstown is the perfect place to lap this all up, a spot which has fittingly become known as the adventure epicentre of the country. Built around an inlet called Queenstown Bay on Lake Wakatipu, the enclave has spectacular views of nearby mountains and has become a playground for thrill questers. Although it is a very popular ski tourism destination, the national sport in Queenstown is bungee jumping (a nutty New Zealander invented it), and the locals have pioneered an impressive range of idiosyncratic commercial activities over the past two decades. These include cave tubing, white water sledging, heli-hiking, glazier trekking, monorail biking, tandem paragliding, river boarding, canyon swinging, hamster balling (Zorbing), jet boating and more. Like a cross between near-suicide and Tarzan, Shotover Canyon Swing takes a lot of nerves – which may or may not pay off after the ride. It is questionable if it can in fact be called a ‘ride’ at all, because this involves a 109 meter vertical free fall followed up by a giant pendulum swing that can reach up to 93mph. They call it ‘the world’s highest cliff jump’ and it is definitely not the kind of activity one wants to partake in after a heavy breakfast. There are more than 70 solo or tandem jump styles to choose from, ranging from backward flips to lawn-chair harnessed jumps. There is no better way best way to take in South Island’s picturesque panoramas than from above in the clouds while harnessed to an instructor whose sole job is to take care of your safety. In other words, it doesn’t require any prior experience or much money to become airborne and have the ground sucked away from your feet for a blissful hour or so (which it really is, as all fears and worries quickly subside into the horizon when the silence of the neighbouring stratosphere takes over). The Nevis Swing is literally the biggest swing on the planet. The experience starts with a stroll across a 70 meter suspension bridge to a launch pad where one is suspended high above a valley floor and then released. The subsequent drop swings thrill addicts down close to the floor in an epic 300 meter arc before swooping them towards an oncoming cliff face. Riders have the chance to go solo or take a friend for a tandem swing. This experience is about going big or going home. 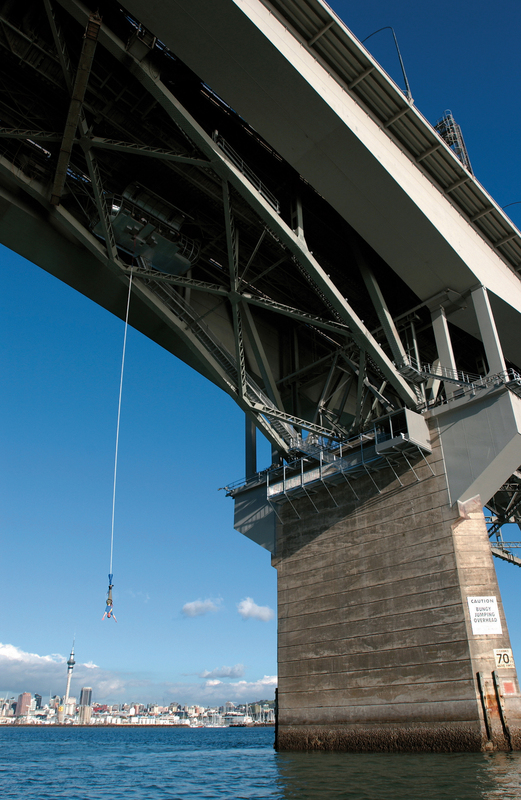 At 134 metres above the rugged Nevis River, it is one of highest bungee jumps in the world. With 8.5 seconds of free-fall, this is a breath-taking ground rush like no other. This is about facing fear. It is something many have called the greatest personal challenge of their life. Getting to the launch spot is an adventure in itself, with a 35 minute four-wheel drive through a high country sheep station. The whole experience is made complete by climbing aboard a cable car for a breath-taking trip out to the bungee pod where those insane enough to go all the way are then dropped to their doom. The Ledge Swing in the heart of Queenstown is both romantic and exhilarating at the same time. Operating at day and night, this experience involves a scenic gondola which transports visitors to a purpose built location offering some stunning views over the town. After this though, it’s all downhill as guests are then strapped in and pushed out over a 400 metre drop. They then have to pull their own release cord, plummeting them downwards before arching out over the lake. This company takes white water rafting in a whole new direction, by adding a scenic pre-raft helicopter flight or a bus ride over the edge of canyons ahead of the rafting experience. After arriving at the starting point, paddlers then tackle six rapids with plenty of back country scenery and narrow rocky canyons to enjoy in-between. There is even a 170 metre Oxenbridge Tunnel, so don’t sign up if you’re afraid of the dark (amongst other things). This all takes place over a stretch of river located on the edge of Queenstown in the Gibbston Valley wine region. One of Queenstown’s original adventure activities, this speedy white water ride first launched in 1970 and has soaked more than three million passengers since. The red jet boats zip through river canyons at breakneck speeds, accelerating through narrow canyon walls on just inches of water, skirting rocky outcrops and mammoth boulders, all while reaching speeds of up to 53mph. The climax comes at the end when the boats tailspin into high-velocity 360-degree rotations. This sport wasn’t invented by New Zealanders, but they sure took it in new a direction. It involves a surfboard, a wetsuit, helmet, sheer drop cliffs, fast flowing rapids and nerves of steel. It originated from Munich in Germany in the early-1970s and Queenstown locals have now integrated whirlpools, rock jumps and eddy lines (when subtle upstream flow in a river creates an area of turbulence) into a sport which normally just involves surfing river rapids. Not be confused with river surfing, white water sledging (also known as hydrospeeding and as riverboarding) is a boardsport in which the participant lies prone on their board with fins on their feet for propulsion and steering. 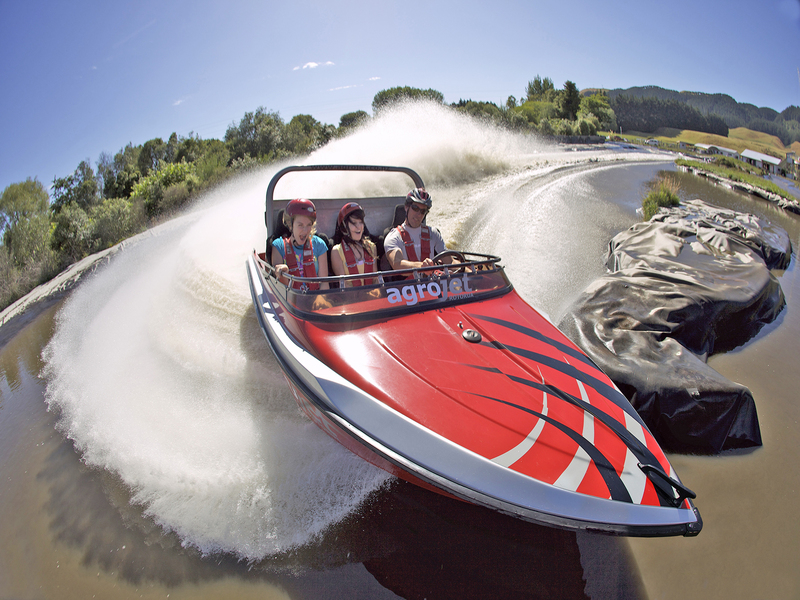 Try it out on the mighty Kawarau River, offering some of the best high volume white water in the country. Take recreational diving to a whole new level by river drift diving in the turquoise waters of Lake Wakatipu. Try flying 6km in 35 minutes past boulders, through white water as you whizz by bewildered fish. First-time divers can also do a full open water dives with an instructor. Take your adrenal cortex for a ride in the ultimate adventure pursuit – skydiving. Queenstown started Tandem Skydiving in New Zealand, and it has taken off across the country ever since. The drop zone of this particular company is located at the base of the famous Remarkables mountain range surrounded by a working sheep farm, which gives jumpers a bit of tranquillity and calm after their intense thrill of dropping out an airplane. Although the name is a bit misleading, the acronym linking these activities only refers to the means of transport used to deliver participants to destinations before partaking in said activity. 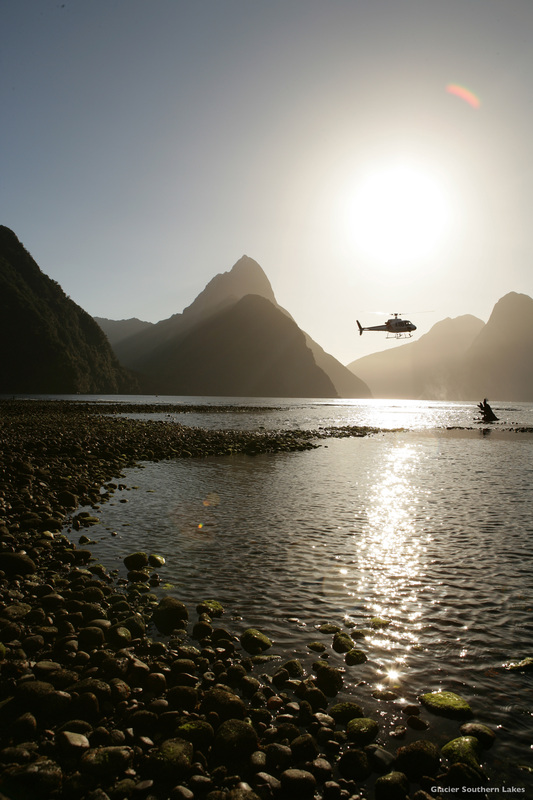 However, this does not make them any thrilling in the slightest, as being dropped off by helicopter not only provides a scenic ride, but also allows one to be dropped off in exclusive locations – some of which have never been previously touched by anyone before. With access to a variety of locations and terrain, and associations with some excellent local guides, these companies specialise in the activities they offer, with hikes, bikes and skiing offered for a variety of fitness levels. The helicopters open up huge possibilities for wilderness exploration and you can sink your skis or snowshoes into fresh unbroken snow as if you were the only person alive in the world. Queenstown and New Zealand’s environs are some the most stunning in the world, and a drive or walk around them can be an experience in itself. The Queenstown Trail is a beautiful cycle and walking trail which links the towns of Queenstown, Arrowtown and the area of Gibbston. It is at least 110 km in length but is not linear and instead follows the terrain often near rivers and lakes. Known also as a zip wire, death slide, flying fox or aerial runway, this involves an inclined cable or rope with a suspended harness, pulley, or handle, down which a person slides for amusement. 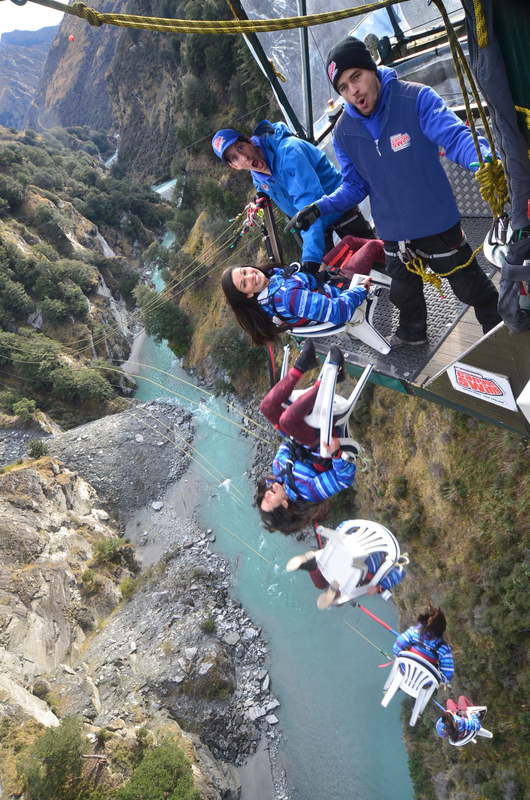 Queenstown is home to two equally spectacular zip lining rides, one of which soars through the treetops overlooking Lake Wakatipu, with the other crossing the Kawarau Gorge. Zip Trek incorporates a gondola ride to the top of the hill before riders are then flown through the trees at specific speeds. The pristine mountain air and fresh environment helps as dangling partakers zip from base to base. Kawarau Zipride is more popular among groups and families, with single or tandem rides for up to six offered. As the name says on the tin, this extraordinary activity involves water rafting in the company of paradise of stalactites and stalagmites. In the cave underworld a slow moving underground river floats visitors in their tubes through near darkness, with the enchanted light from glow worms providing navigation. 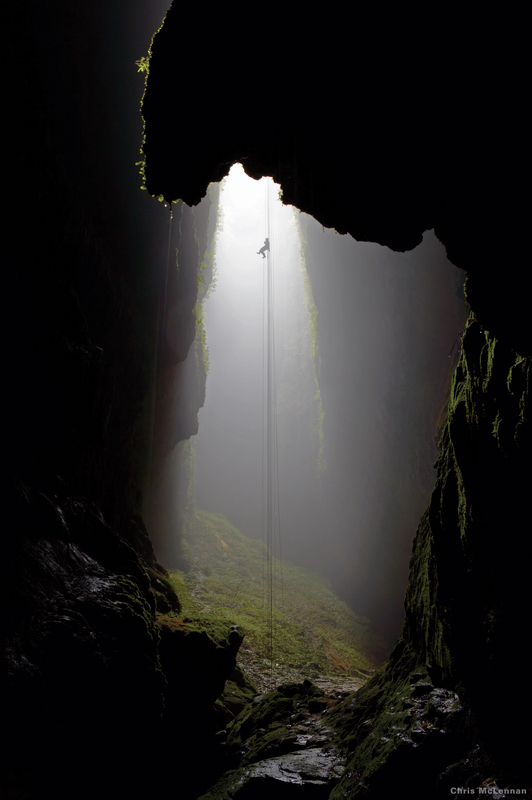 Guided abseiling and ladder climbing through cascading waterways is also offered. There are no caves nearby but one is located a few hours’ drive away. 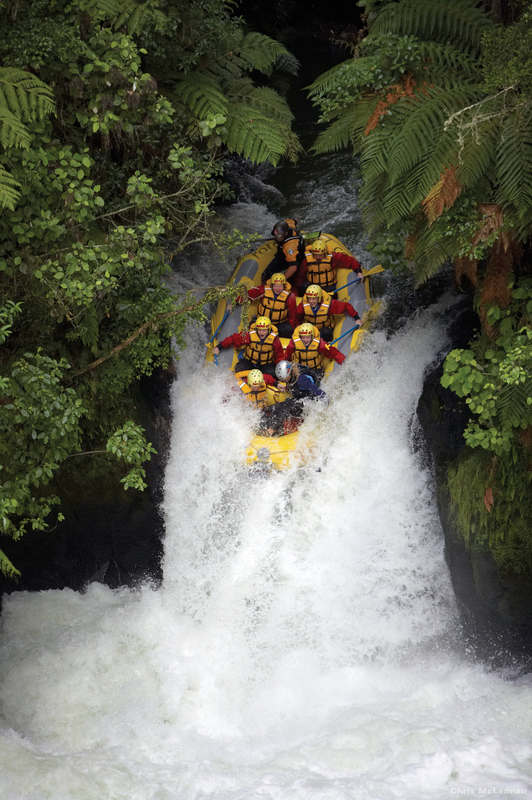 Although on the other side of New Zealand, within the grounds of the world famous Agrodome near Rotorua, Agroventures is an amazing weather adventure centre. There are various innovative adventure activities on offer here, including a 43 metre-high bungee, the Swoop (drops one from 40 metres in a hang gliding harness attached to a cable), the Freefall Xtreme (allows one to fly, by floating them four meters high on an inverted wind tunnel), the Agrojet (an extremely fast jet boat) and the Shweeb which is a is a monorail for human-powered vehicles conceived in Tokyo. The Shweeb consists of two 200 metre long overhead rail circuits that vary in height between two and four meters above the ground. 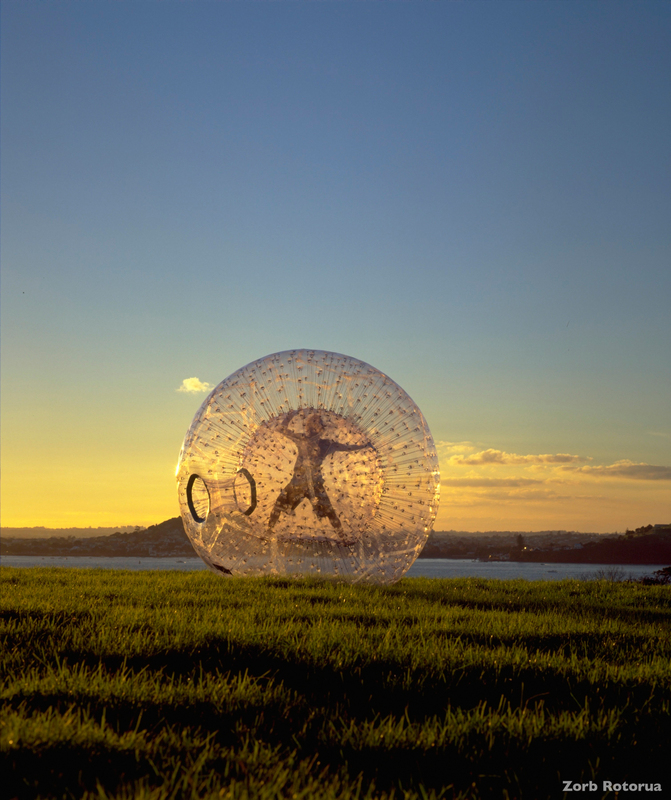 Whether you can call this a sport or a recreation is questionable, but this involves rolling downhill inside an orb, generally made of transparent plastic which is also known as hamster balling, globe-riding, sphereing and orbing. The orbs have a cushion of air between the rider and the ground, and can reach speeds of up to 50 kilometres per hour. 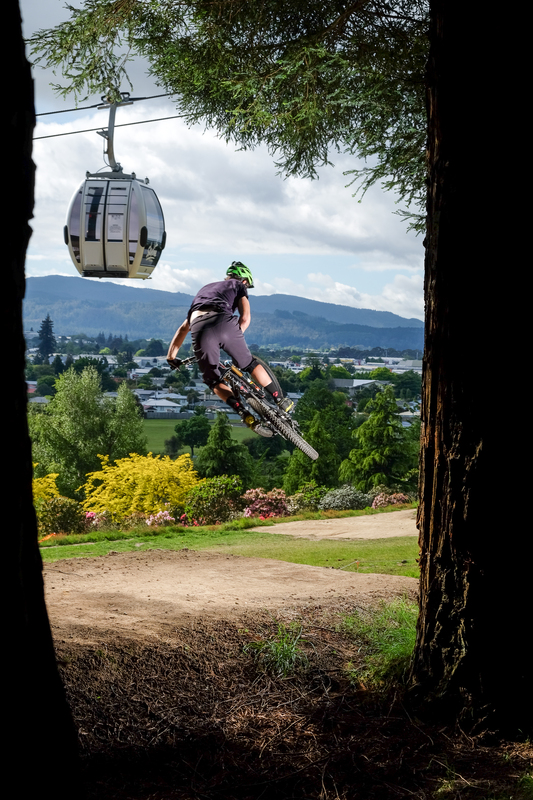 There are a few operators in New Zealand, but Rotorua are the best. Whatever you disposition, and however you take your adventure brew, Queenstown and New Zealand has something for you. 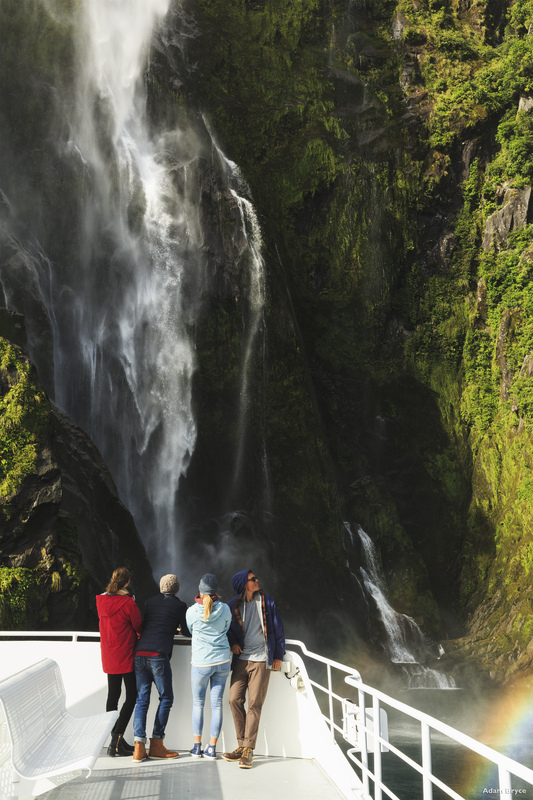 Whether it is the country’s slightly lax insurance policies or because New Zealand’s historical exploration genes have now metamorphosed into entrepreneurial leisure pursuits, it cannot be denied that this landmass knows how to thrill. So, if you’re looking to clear that special activity off your bucket list or escape your comfort zone and expand your mind a little, Queenstown, and the dramatic wonder of nature that is the country it resides in, are the places to go. These magical destinations of distinction are locations where the sheer extremity of the environment literally takes the breath away and brings out the adventurer in everyone. After all, it’s been proven a nice dose of immunity-enhancing adrenaline can have a salubrious effect on the body and soul.